As the trend toward immersive and experiential travel continues, more and more travelers may find themselves interested in visiting Native American sites of various types. But some of us may be a little hesitant, wondering how to best honor and respect tribal peoples during a visit. Camille Ferguson, Executive Director, American Indian Alaska Native Tourism Association (AIANTA) shares statistics showing there were more than 1.95 million overseas visitors to Indian Country in 2016. By 2020, that number is projected to grow to 2.3 million visitors. Those in the industry have noted positive trends during these tourism-growth years. So how can we travelers respectfully take part in Native American tourism? Remember, not all sites are the same. Zimmerman continues, “Visiting sacred sites needs to be done with more respect and knowledge about what is significant about the place and certain protocols that should be followed when visiting those sites” as compared to the lesser forethought that might be needed for a museum visit, for example. And not all tribes are the same. Respect the privacy of residential communities. Ask before photographing or recording an individual, an event or activity. Do not pick up or remove artifacts or objects. But the law is always the same. The Native American Graves Protection and Repatriation Act (NAGPRA) offers federal protection of Native American remains and artifacts, as well as offering stiff penalties for violations. Visitors should never pick up or remove Native American cultural items, but “protect this precious cultural heritage for future generations,” Corbin exhorts. Remember, Native American sites are modern, as well as historic. “Native Americans are contemporary people who live in all 50 states, in big cities and in rural areas,” adds Corbin. And don’t forget to slow down. Have you visited a Native American site: a museum, reservation, archaeological site, or other? Do you have a site to recommend? 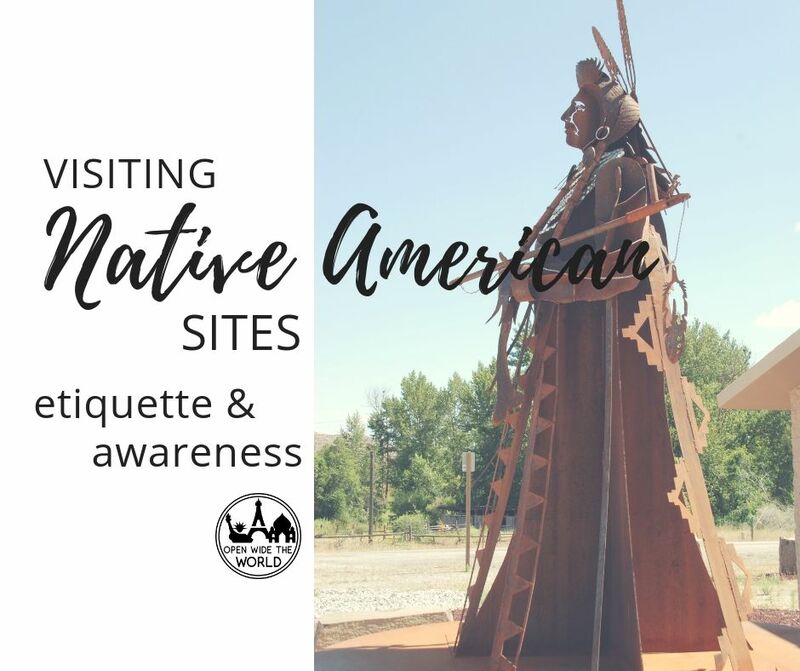 Note: The cover and pin image for this post was taken at the Chief Joseph Rest Area on the Colville Reservation, State Route 155, Nespelem, Washington. The Colville Confederated Tribes and the Town of Nespelem coordinated efforts to construct the rest area in 2010.